Mindfulness seems to have become a type of buzzword in the health community over the past few years, but what is mindfulness exactly? The easiest way I have found to describe mindfulness is as follows – mindfulness is systematic attentional training and it is a psychological and scientific technique. There is a growing body of scientific literature showing that when people practice systematic attentional training, or mindfulness, they experience desirable changes in their sense of well-being, in their ability to manage difficult emotions and in handling challenging situations in life. 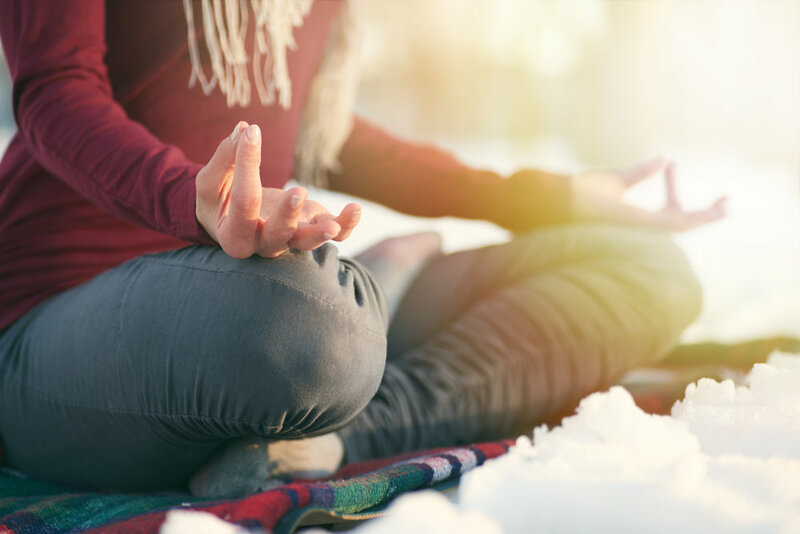 Because many people’s experience with mindfulness is positive, in that the practice of mindfulness produces the sought-after results, mindfulness is increasingly becoming recognized for what it can do. So, what can mindfulness do for you? The short answer is, a lot, especially if you’re working with a licensed mental health practitioner. Generally speaking, mindfulness is focusing attention on an object or thought and when the mind wanders away to something else, you consciously bring attention back to the thought or object being focused on. With practice, the ability to specifically focus attention and shut down unrelated thoughts boosts things like creativity, productivity, creates feelings of relaxation and provides the capacity to think through complicated or complex feelings without becoming overwhelmed. There are also many variations of mindfulness making it easier to adapt to your own needs. Our minds are incredibly complex and have the ability to enable us to lead amazing lives. In our fast-paced culture with increasing pressures and stresses coming at us in every direction, our minds can become overloaded. And this is without us experiencing trauma, abuse or any other significant overwhelming events. Gaining skills to help regulate the overload of information and overwhelm of emotion which most of us experience at least at some point in our lives, and others experience regularly, grants us the ability to move through life with less stress, which in turn allows us to maintain a better sense of balance in our physical bodies, with our emotions and thoughts. Whether you are already experienced at practicing mindfulness, or a total beginner, it has something to offer to everyone. Talk to a licensed mental health professional to find out how mindfulness can help you specifically. 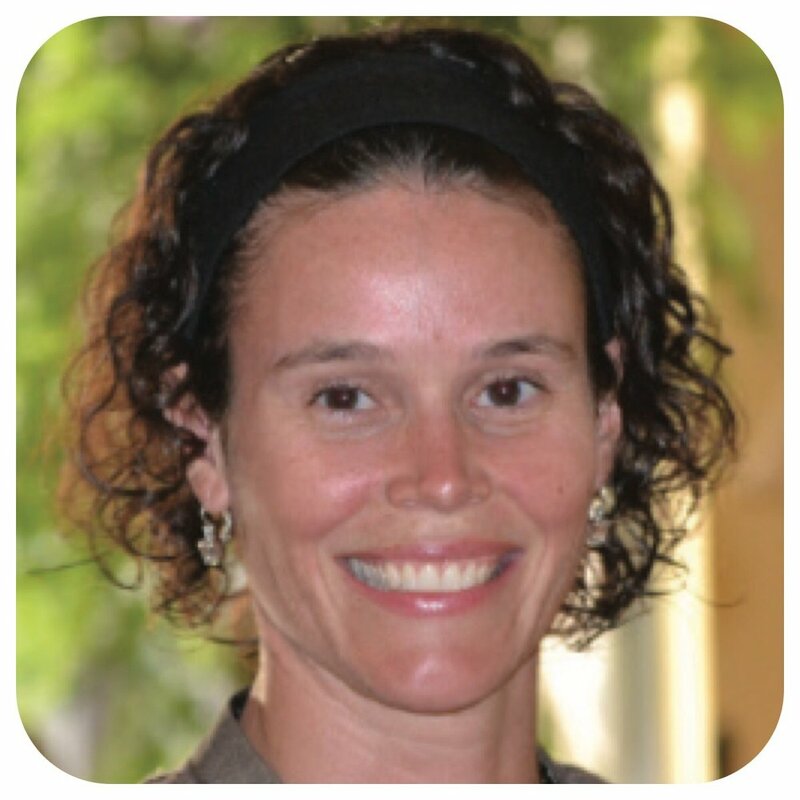 Liane Wood is a Certified Havening Practitioner and counsellor. She helps people find clarity and direction during confusing and/or difficult times. The winter blues, the January blahs, depression. We’ve heard about them, but how do they happen? On a conscious level, people don’t choose these things. No one wakes up one day saying, “I think I’d like to have the winter blues this year, or I’d like to be in a clinical depression for the next five years”. Our conscious minds never choose symptoms. Consciously, we all choose health, wholeness, joy and vitality. But there is something else at work in us that manifests symptoms and causes us various problems. And that something else is our subconscious mind. There are times when change cannot be effected through conscious effort. No matter how hard we’ve tried or how many times we’ve tried to beat our subconscious mind into submission we remain stuck in the same place. The subconscious mind is fear-based and quite infantile in its judgement. It is the subconscious mind that chooses faulty coping strategies and self-sabotage in all kinds of creative varieties. This is the part of us that presents our symptoms. 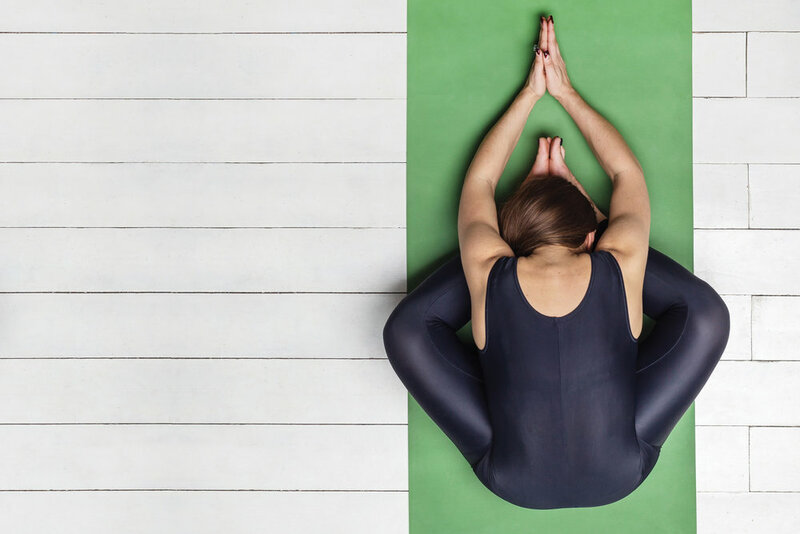 When the symptoms are minor to moderate, activities like exercise, yoga, massage therapy, meditation and acupuncture can be effective in reducing or eliminating symptoms. However, if the symptoms are moderate to severe, a more rigorous approach is needed. Unfortunately, most of the traditional therapeutic tools do not access the subconscious mind and medications have little impact on the workings of the subconscious mind. Typical antidepressants known as SSRIs – Selective Serotonin Reuptake Inhibitors- are prescribed to correct an imbalance of serotonin levels, believed to contribute to depression, poor mood, anxiety, stress, and OCD. SSRI antidepressants are believed to help increase serotonin levels by limiting the reabsorption rate of serotonin in the brain. A recent study completed at McMaster University ranks Canadians among the most prolific users of antidepressants. Lead study author and university professor, Paul Andrews said there are alternatives to taking antidepressants such as psychotherapies that don’t have negative physiological effects and work just as well. A growing body of scientific evidence suggests that psychotherapies and psychosensory therapies, such as Havening Techniques, that combine specific intention with sensory input produce a number of beneficial physical results such as increased production of serotonin, opioids, and GABA, regulation of cortisol, pain reduction, slowed heart rate, decreased anxiety, and an increased sense of calm. It’s these beneficial physical results that effect lasting change in the subconscious mind. If you find yourself struggling a bit or a lot this winter, take steps to remedy the situation as soon as you can, because help is available. Whether its exercise or a massage, or psychotherapy and psychosensory therapy, there is hope and a way back to mental vitality. together. It really is the most wonderful time of year. Unfortunately, with these events come stressful moments and our anxiety levels often heighten. As much as we love the holidays and all that comes with them, we can sometimes forget to really fully enjoy them due to the stress we place on ourselves to make it the best holiday ever. So, this holiday season, don’t let the stress that creeps in supress your mental and physical health. Here are my easy-to-do activities that will help you get through the holidays stress-free! 1. Deep Breaths – Deep breaths are the easiest way to calm your mind and body. Tricks to doing this properly are making sure to fully expand your lungs and breathe from the very bottom of your lungs with each inhale and exhale. Often, we breathe shallow in our lungs throughout our days and this depletes oxygen to our cells. Also, make sure to slow your inhales and exhales down to a slow count of five each time. This is an easy de-stressing tool you can use no matter where you are or what you’re doing. 3. Meditate – Even if you’ve never tried it before, the effects are always great for the body. Meditation calms the mind and the physical body. Just following a guided meditation for even two minutes will have a relaxing effect. Anywhere from two minutes to 20 minutes is a typical mediation time. This allows your mind to wash away the stress of the day, forget about everything that has to get done and focus on yourself and be in the moment. You will leave feeling calm, relaxed and energized. For easy guided meditations visit danagoodfellow.ca. Most of all have fun! Make sure you’re enjoying the holidays; after all, that’s why we celebrate them. Keep up with these three easy steps and you will be able to combat those stressful moments that are inevitable. For more tips and tools that will help you relax and de-stress, you can always visit danagoodfellow.ca. Happy Holidays, everyone! Short grey days and long cold nights are back, but this doesn’t have to darken your disposition. These five tips are guaranteed to boost your energy and happiness levels! 2. After that walk carbs may be calling you, but while sugary treats give you a burst of energy, they also quickly lead to a sugar crash. Instead, choose a healthy snack with protein and a big glass of water to keep your energy up. Not getting enough water can make you feel tired and hungry. Pee should be the colour of apple juice. Lighter means you’re drinking too much water, darker means you aren’t getting enough. 3. Colour your world! Surrounding yourself with uplifting vivacious yellow or vibrant orange colours will stimulate and energize you! Dress in these colours, add them to your décor with throw pillows or cozy blankets, fill a bowl with fresh lemons or oranges, even dab their essential oils on your wrist for an uplifting effect. 4. Eliminate stress wherever possible. Practice the fine art of saying no to prevent feeling overwhelmed. Boost your happiness by living in the moment, rather than mentally projecting yourself into the future, which produces anxiety. People who regularly engage in spiritual practices are twice as likely to report being happy, so why not try a simple mindfulness meditation – sitting in silence watching your thoughts without being attached to them. It’s like a mini mental vacation! 5. Nothing zaps energy and happiness like grudges. As the song says, “Let it go, let it go.” Forgiveness is a gift for yourself, it has nothing to do with the other person. Even if they don’t ‘deserve’ it, you do! Try nurturing gratitude instead – it’s my favourite method for boosting happiness. A daily list is a great way to start this healthy habit – why not make it a family practice? 6. Smile! This actually tells your brain you’re happy whether you are or not. While you’re at it, practice being happy for no reason at all! Set a timer for five minutes and celebrate as if you’ve heard the best news ever – fist bump the air, let out a woo-hoo! Not only does this feel good in the moment, you’re setting all those fabulous feelings and thoughts out, and what comes back to you in real life will feel equally good! And remember, spring is coming! 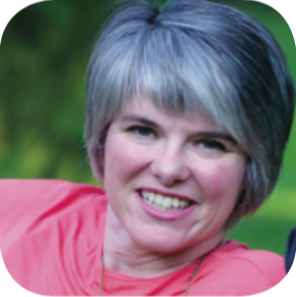 Alexandria Barker is a certified life coach and Soul Re-alignment practitioner, providing healing at the deepest level for lasting transformation. She is also an Infinite Possibilities Coach specializing in freeing you of limiting beliefs, enabling you to live the life of your dreams. It was exhausting. It was isolating. It was such an unnatural state like my body was to be in. It was rejecting my emotions by making it physically painful to be so sad. Post-partum anything is nuts. The period after you give birth where you try to make sense of a seemingly new world order is tough for any mom. I had just brought two beautiful boys into the world. They were healthy and they were happy. Why couldn’t I be? I will never forget the moment when I read the story of another mom who had been diagnosed with post-partum depression (PPD), and who had anger escaping her, hurling itself at the people she loved the most, with such lack of self-control, that she was scared. Something changed inside me as I read her words. As I read my story in her story that day, I connected with her. She didn’t even know it, but her bravery in telling her story, her bravery in being real and honest and flawed, made it okay for me to be real, too. It has been eight years since I read that story. And those eight years have had ups and downs, but mostly ups. Along the way, I have discovered that there is one thing that elevates a person’s health, happiness and wellness to increasingly new heights, and it’s actually very simple. The one thing that wraps itself around each and every helpful wellness technique, from healthy eating to mindful gratitude practice to making time for movement, is the fact that all of it, every single last bit of it, endeavours to make you feel connected. • Connected to your real self. • Connected to your body. • Connected to your soul. • Connected to the people you love. • Connected to your community. • Connected to people who share your story. • Connected to source, a higher power, or whatever resonates with you. For the last few years, I have been busy creating safe spaces for people to be real among a tribe of like- minded others who get them, hear them and make it safe for them to no longer feel alone. And through that experience, I have learned that life is a series of moments in time. It’s in those moments that we are offered a simple choice: to feel alone and disconnected by our challenges, or to choose in favour of our happiness and thrive in connection with others. Sarah Hutchison is co-owner of She Thrives, an innovative women’s wellness centre in downtown Belleville, and co-founder of Bliss B4 Laundry, a company that hosts life-changing, transformational wellness events for women. Sarah is a creative soul, spiritual mama, and an ever-passionate rooter for the underdog who loves to meditate, read thought-provoking books, and write about life. For decades now, medication along with talk therapy have been the go-to for treating mental health issues such as depression, anxiety, PTSD and more. Psycho-pharmaceuticals such as anti-depression medications and anti-anxiety medications take weeks - sometimes months to start making a difference for people. Often times the side effects necessitate adjustments in dosages before arriving at a suitable outcome. But, with our human brains being electro- chemical organs, are chemical treatments (medications) the only way or even the most effective way to help? Through recent studies on brain function and greater comprehension in neuroscience, it’s been shown that neurons in the brain that fire together, actually wire together. All of our life experiences are recorded in our brains, but, the negative experiences are remembered indefinitely. Likely to keep us from further harm or trauma in the future, they are actually encoded in great detail in our memories. These detailed, encoded memories are pulled up during our most vulnerable moments and can interfere with our ability to function day to day. Messages from our pasts such as ‘you’re not good enough’, ‘you’re stupid’, ‘you’re fat’, ‘you’re worthless’, or ‘nobody loves you’ leave a lasting impact that can affect not only our present, but also our future. 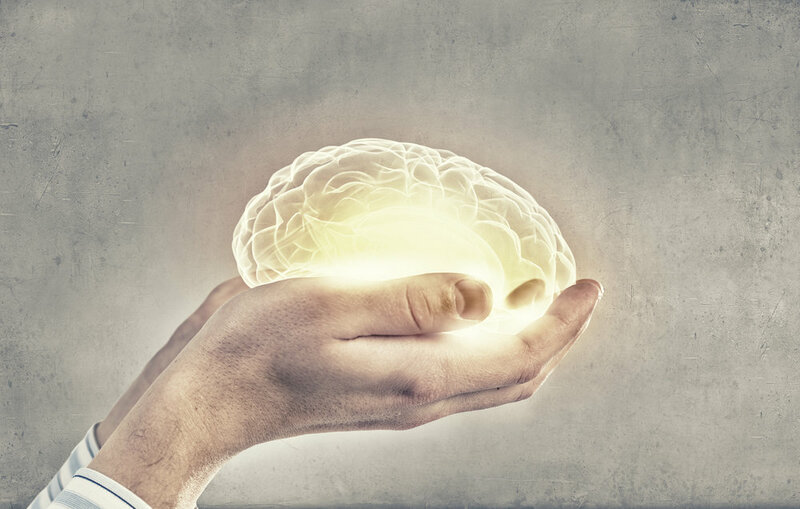 The ability to engage with the brain’s neurons that have encoded negative experiences and to de-link the emotional charge associated with the experience has been made possible utilizing Havening Techniques ®, which is a psycho-sensory technique. Sensory input creates an electrical wave in the brain which changes the circuitry of the brain altering the way the brain accesses and utilizes negative memories and traumatic events. As a therapist, the opportunity to witness the lift that happens and the different perception of self that occurs as a result of Havening Techniques is a wonder and a privilege to behold. Havening Techniques can help with a wide variety of issues from phobias, grief, cravings, panic attacks, distressing memories, PTSD, anger or fear of abandonment to name a few. This past June, I had the opportunity to meet and talk with Richard Oakley, a UK Police Officer diagnosed with PTSD after being first on scene of a deadly terrorist attack in London and he told me the tremendous difference Havening has made in his own life. Neuroscience is providing new and better ways to find healing from mental health issues. Healing doesn’t always come in the form of a pill. A new paradigm has arrived. Have you ever gotten back from a week’s holidays and thought, “that just wasn’t long enough.”? I know I have. Even though I’m good at relaxing and letting go of work once I’m on vacation, I do always feel like I am still connected to it in a subtle way. I always have my phone with me. I usually check it twice a day in case there are any emergencies that need to be attended to. I tend to be rushing to get things done before I leave, and then I’m rushing to catch up when I get back. For better mental health, and at the recommendation of more than one person I see to keep myself healthy and balanced, I needed a longer break from my self-imposed workaholic tendencies. So, this upcoming four-week holiday has actually been eight months in the making. So here are five reasons I am taking an extended vacation and why you should consider it too. You don’t have to jump into the deep end like me, but your vacation should be longer than what people expect and longer than what is comfortable for you, in order for it to be effective. I became aware that helping more patients become healthy isn’t going to make me healthy unless I walk the talk in all areas, not just the ones I’m good at. I want all patients, including myself, to avoid getting sucked into the culture of cortisol. So, instead of giving myself a raise, I’m giving myself more time off. Originally, Parkinson’s law is the adage that “work expands so as to fill the time available for its completion”. For me, even though I love my job, I don’t want work to become the most satisfying thing in my life. I need to make space and time for the “fun stuff” or before I know it another year will have gone by. Taken from the world of exercise physiology, it’s a concept that can be applied to other areas of life. In the sports world, it’s a back-off week, or a planned reduction in exercise volume or intensity. The whole point of this week is to prepare the body for the increased demand of the next phase or period of training and more importantly mitigate the risk of overtraining. For me, this means avoiding burn-out! I have a quote that many patients have seen on the filing cabinet in my office that reads, “You can be a good person with a kind heart and still say no.” Up until this year, I have planned my vacation around other people, other events, less busy times of year, etc. Instead of having my own agenda, it was determined by default, dependent on everyone else’s agenda. I realized that this was rooted in the limiting belief that saying no was somehow a bad thing. I’m slowly learning to say no when it conflicts with my priorities. Now, I would love to hear from you! Which of my reasons for taking an extended vacation resonated with you the most? Leave a comment below! Have you ever been caught up in a whirlpool? Everything spins so madly you don’t know which end is up and fighting against it leadsonly to exhaustion. A worry whirlpool is much the same. Something is causing incessant worry, making your head spin. The resulting negative thoughts cause stress and anxiety, and fighting it only draws you in deeper. Not only that, but because thoughts become things, your worrisome thoughts are vibrating out and matching up with other equally undesirable thoughts, conversations and situations, until it seems your whole life is turned on its head. The obvious solution is to stop thinking those thoughts, but this is much easier said than done because the Law of Attraction is keeping them coming. It’s much easier to distract yourself by taking a nap, watching a movie or visiting a friend. This will give you the mental space necessary to begin thinking different thoughts. You won’t shift directly from worry to happiness, but you can bridge your worrisome thoughts by repeating phrases such as, ‘things always work out for me’ or ‘I don’t have to think about that right now’ to break the cycle. Think of a well-worn path in a field. It’s easy to keep going down that path because the weeds have been trampled down. You don’t have to think about where you’re putting your feet, it’s become automatic. When you make the decision to take a new path, it’s difficult initially but gets easier each time you use it, while the old path grows over and is forgotten. It’s the same with your thoughts. Each time you choose the new path it becomes easier and strengthens your resolve. You are creating new patterns of thought that serve you while simultaneously releasing the negative ones that don’t. You can take things further with the ‘tell a new story’ process. As the worrisome situation shows what you don’t want, what you do want becomes clear. I recommend sitting with pen and paper and imagining it unfolding exactly as you’d like. You don’t have to know how it can be resolved or even the precise results you want. Just write how happy everyone is with the miraculous solution, holding the feeling in your heart while picturing their happy faces. If worrying about a loved one, remember we are eternal beings who chose certain challenges each lifetime for the learning it will provide. What we think is a bad thing may be just the experience needed for their spiritual growth, leading to much happier circumstances for them. If that doesn’t bring relief, consider that worrying gives more energy, thus power, to unwanted things. It is essentially praying for what you don’t want, and robs you of the ability to help. Your best defence against worry whirlpools is to shine your light as bright as you can. This will uplift those you were worried about, and anyone else lucky enough to be around you. Truer words were never spoken when it comes to meditation. Our mind is the most powerful entity in our body and has the ability to affect every aspect, right down to the cellular level. This is why we feel physical tension when we are under mental stress. This can reside many different ways in our bodies, such as tension in our necks and shoulders, headaches, upset stomachs, irritable bowels, etc. Our mental stress can also affect our actions and reactions through our daily life. It can cloud our minds and decision making and therefore produce negative outcomes. It is important to control these outcomes and manage how we think and feel. If our minds are practicing positive and relaxing meditations, our physical body will follow suit. Meditation can be beneficial to the body in many ways. 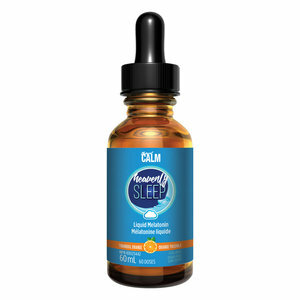 It can help with sleeping, releasing the stress of the day, help you stay focused and productive, and have an overall healthy awareness of your mind and body, to name a few. Starting meditation is easier than you may think. All it takes is the ‘want’ to do it and making time in your day for it. As you practice it more, it will become easier. Your mind will develop with the meditation practice and you will see differences in your life as you continue. Living in our health conscious society today, we often make time to work on our physical health. We go to the gym on a regular basis, we get outside and become active when we can, and we are aware of eating healthy and making conscious choices when it comes to food. We know the impacts and benefits to eating local and organic foods, and we are even now more aware of possible intolerances in our bodies. However, we don’t seem to make the same amount of effort when it comes to our mental health. We can set aside an hour for the gym and block out our Tuesday nights for our sports team we belong to, but we can’t imagine sitting still for 10 minutes to create a clear mental space. Now that we understand that our mind controls our physical body, doesn’t it make sense to take care of our mind to the same extent, if not more? So, if you’re ready to experience the mind-body connection with mediation, here are my top five tips on creating the best mediation space to get you started. Tip #1: Make sure your meditation space is quiet. You don’t want to be distracted by anything. This doesn’t just mean other people; if you are going to hear traffic noise, dogs barking, phones ringing, or anything that will take your attention away, meditation will be a harder task. If you live in a busy household, try using something that creates white noise such as a fan, heater, or sound machine to drown it out. Tip #2: You want your meditation space to be calming to you as well. It doesn’t matter where you meditate, as long as it is somewhere you enjoy. It can be a designated area in your home, in a room you love to be in, cozy in your favourite chair, or on your back deck in the sun. It can even be somewhere you go; maybe it’s down by the water, on a beach, or a local park. Just make sure it’s completely relaxing and calming to you. Try out different spaces and see what works well. Tip #3: While finding this space, keep ‘mental clutter’ in mind. If a space is cluttered to you or messy, this is going to affect how you feel in the space. This will in turn create a non-relaxing space and could distract you. Tip #4: Comfort is important with meditating. You don’t want to be fidgeting. Make sure you have pillows or proper support for your meditation time. I enjoy sitting on a meditation pillow that is more firm and high, or simply using a fluffy throw pillow is fine too. Tip #5: Lighting in your meditation space is important. Lighting can affect our moods, so keep the lighting soft and dim for a relaxing meditation, or try sunlight for an uplifting effect. Once you have your mind clear of clutter, and have a calming, comfortable, properly lit space, you’re ready for a great meditating experience! Now that you’re ready with your space, check out danagoodfellow.ca for your guided meditations to get you started. These are beginner friendly and easy to follow, plus, you’ll receive more tips and tools for you to use during your practice. Start today to become a ‘better you’, remember, ‘what you think, you become’. Are you feeling happy today? If not, why not? Are you postponing your reward of happiness until you’ve met some specific criteria? Perhaps you think you won’t deserve to be until you lose 10 pounds, land your dream job, meet your soul mate, or retire? These are all very nice things, but if they’re your reasons for not being happy now, they aren’t serving you. The reason you want any of these things is you believe you’ll be happier when you do. So why not just choose to be happy now, for no particular reason? The opportunities are endless. Happiness is waiting for you around every corner, every moment of the day. It’s in letting someone off the hook when you have every reason to be mad at them. 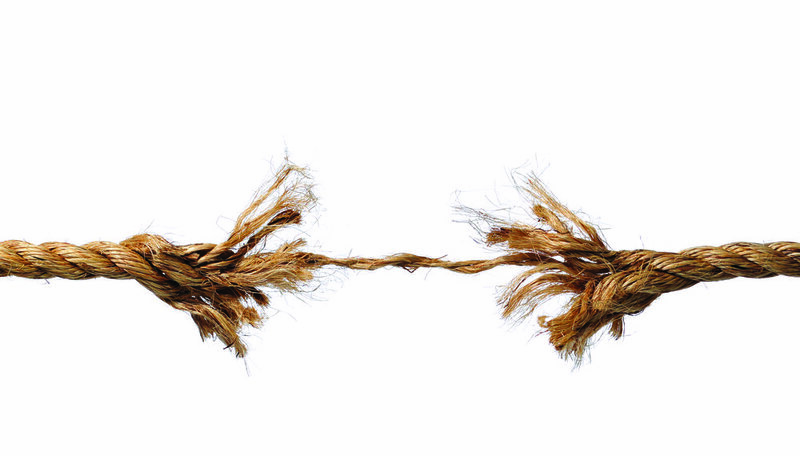 It’s in focusing on a loved one’s strengths when their weakness is screaming louder. It’s in going for a calming nature walk instead of sitting stewing. It’s in remembering that you, and you alone, are responsible for the thoughts you think, ergo the feelings you experience. You can set yourself up for happiness by reflecting on the best moments of the day as you go to sleep. When you wake up, decide you’re happy before even getting out of bed, and keep that momentum going by expressing gratitude for your life, your loved ones, the blue sky, anything you can think of. Being happy is not just about you. Yes, it generates endorphins that contribute to your overall wellbeing, but it goes further than that. Moods are contagious. Happy people increase happiness and decrease stress levels of others just by being around them. They’re more popular because people like to be around happy people! Happy people look younger, live longer, and have fewer aches and pains. Over 30 studies show they get sick less often after being exposed to cold and flu germs, because they have more immune-boosting blood cells. When they do get sick, they rebound much quicker. Instead of whining about their illness, they treat it as a blessing – time to rest and rejuvenate. Habitual happiness reduces the risk of developing diabetes or cancer, and is good for the heart! It lowers heart rate, blood pressure and cortisol. As seniors, happy people have 77 percent lower risk of heart disease. By intentionally focusing on the positive, happy people downplay issues that stress out ‘normal’ less cheerful folk. They handle problems more effectively, with less stress. Stress ages you inside and out, so that’s a pretty big plus! They are naturally more creative problem solvers, as being happy expands your thinking and lets you think outside the box, finding creative solutions to problems. Happiness is a habit of thought, a mental muscle that responds quickly to your efforts, paving the way for synchronicities and serendipities, keeping life an exciting adventure where you know with conviction that life is good and getting better, and something wonderful is just around the corner. project, and is largely the result of choosing to be happy from moment to moment. The real reason you want anything is because you think you’ll be happy once you have it. So why not go directly to happy? Follow these three steps to get happier easily in just 15 minutes a day, with noticeable results starting the day you begin. A happy mood is easiest to capture first thing in the morning. Your vibrational attraction is neutral when you first wake up, so the new day is literally a fresh new slate. As soon as you wake up, decide it’s going to be a great day. Say “thank you” as your feet hit the floor. Then as soon as possible, set a timer for five minutes. Imagine you just received a ‘phone call with amazing news, like you won $60 million dollars (or anything else). Then just let those fabulous feelings course through you. Try it now! Picture yourself beaming, see loved ones rejoice as you share the big news. Feel the gratitude and appreciation beginning to rise? Milk it! Fist-bump the air! Grin from ear to ear! Let these feelings grow until it seems your heart will burst. Isn’t it interesting that you can generate so much joy when nothing in your life has changed? You just proved you can be joyful with life just as it is. But you accomplished much more than feeling good in the moment. Simply by pretending to be happy actually creates things to be happy about through the Law of Attraction. happen. Gratitude is powerful and feeling it in advance sets wheels in motion. This step works miracles! Now let’s do a specific visualization. Set your timer again and this time, focus on something you really want, be it love, health, or wealth. Imagine it’s already exactly as you wish it to be. See it in your mind and really feel the gratitude and appreciation, and soon you’ll be seeing it in your life. Our thoughts and feelings are always attracting more of the same as they match up with similar thoughts, people and life situations. The more positively we think, speak and act, the happier our lives will be. To turn the life you have into the one you really want in just 15 minutes a day, try these few simple techniques daily for 30 days. You’ll be happy you did! Life Coach Alexandria Barker is specially trained to help you achieve happiness in all areas of your life. Live the Joyous Life You Deserve!